There are two things that I really like. Food, and friends. I also really enjoy cooking for friends. Let me get to the point. I like baking. I love standing in my hell hole of a kitchen in my hell hole of an apartment, wearing an apron and chef hat. I bake. 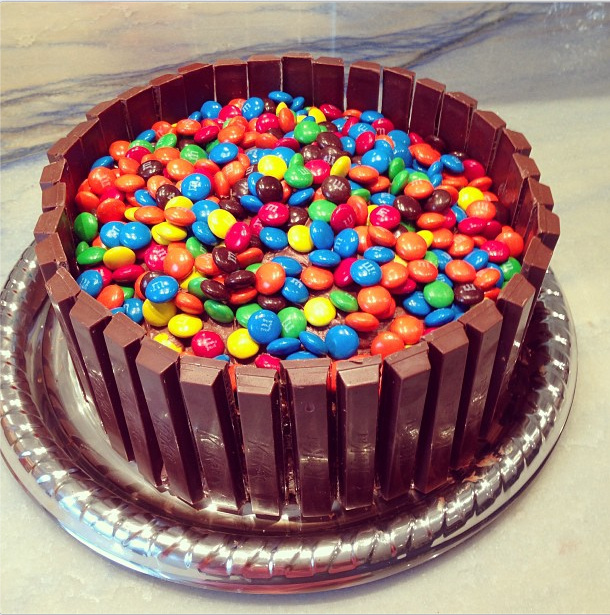 I can bake cookies, and muffins, and cakes, and puddings, and everything a fat kid can imagine. I bake deliciously. When I bake, I feel like a wizard with a caldron. I throw ingredients all over the place, I sing, I splash, I make a mess… I love it! As much as I love the baking process, I don’t love to eat my baked goods, but I sure do love to share them. I share them on Instagram and go #hashtag crazy, and I also share them with friends. I guess in my weight loss journey, if I bake for everyone, and everyone else around me gets a little more juicy and plump, then I’ll look even better even sooner. Calm down everyone, just a joke! 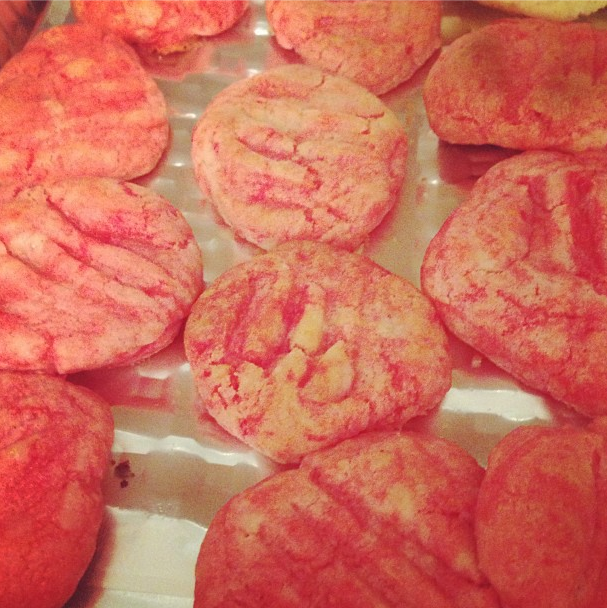 I’m losing weight, while baking! Let’s face it, I can’t eat them. As much as I would like to, I am well aware that if I did, someone would find me shaking on the floor, with my slow beating heat, and chocolate dripping down my face. Eating cookies and cakes aren’t for me. I enjoy baking, and I find it extremely relaxing. Everyone around me can enjoy my sugary, buttery treats, and I will enjoy my apple. 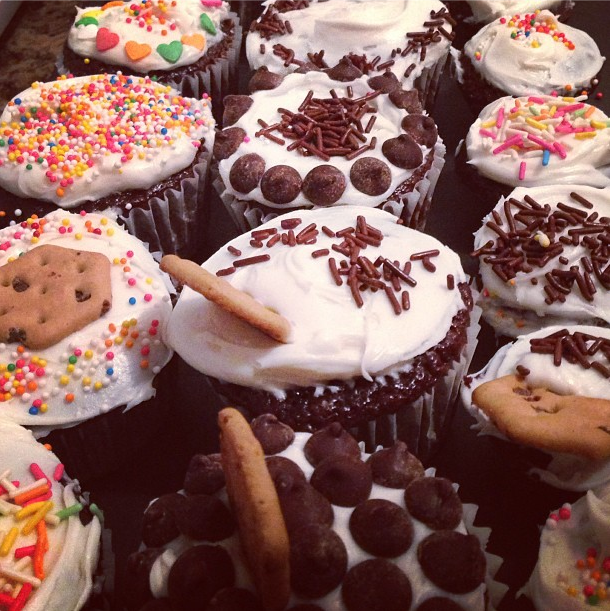 Chocolate Cupcakes, Cream Cheese Icing, Sprinkles, Chocolate Chips. Yum . 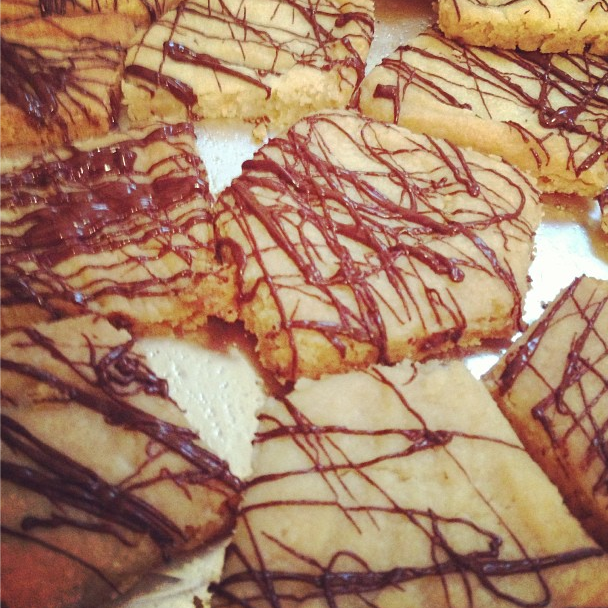 Shortbread Cookies With Chocolate Drizzle… low fat chocolate, doesn’t really make a difference at this point.